DermaFix Products help to repair the skin’s barrier preventing water loss and promoting healing and balancing within the skin. 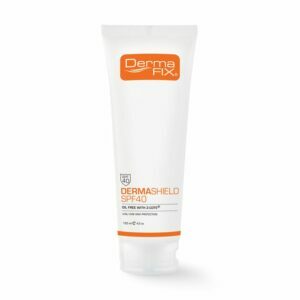 DermaFix Products have a high an anti-inflammatory action helping to calm and reduce itching, redness and dryness presented with these skin conditions. Eczema, Psoriasis and Rosacea are different terms given to skin concerns which may cause an inflammatory reaction within the skin, the skin responds by becoming inflamed. Eczema, Psoriasis and Rosacea can affect people of all ages, starting from as early as infancy. There are a few different forms of eczema, with the most common being atopic dermatitis or atopic eczema. This causes the skin to flare up, becoming red, dry and itchy. Flare up frequency varies from person to person, and in some cases it can last weeks. As eczema occurs as an auto-immune response, there is no eczema cure; however the symptoms accompanying eczema can be minimised significantly. Psoriasis is a chronic long lasting disease characterized by patches of red, itchy, and scaly skin. These patches are due to skin cells that grow too quickly and can differ in severity from small and localized to covering the entire body. Rosacea is a chronic skin care condition which is characterised by facial redness, small and superficial dilated blood vesselson the face, papules, pustules, and swelling. If Rosacea is left untreated it can worsen over time. Many skin care products can help to camouflage the symptoms with little to no benefits for the concern itself. Various DermaFix products can assist with the improvement of the suppressing of the symptoms related to Rosacea. The DermaFix product range focuses on reducing the inflammation and redness associated with these 3 concerns. 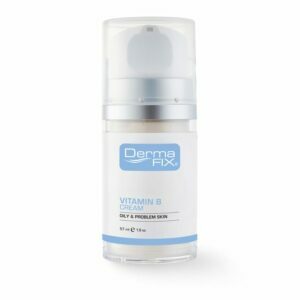 After the cleansing routine, apply DermaFix Vitamin B Cream to calm the skin, improve red inflammatory skin conditions and activate the skin’s healing response. Follow with the application of DermaFix Skin ResQ, which acts as a barrier and prevents water loss. The addition of the DermaFix Colloidal Oat Masque can be applied 2-3 times a week to the area of concern for reparative benefits of the skins barrier, relieving redness and calming down sensitivity. 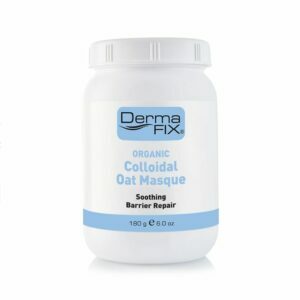 If the concern is body related, you can add DermaFix Colloidal Oat Masque to your bath water either adding it directly into the water or into a porous material e.g. a stocking or a muslin cloth. Allow the bath water to run through the material ensuring the release of the active ingredients into your bath water. Optional:Once an established DermaFix skincare routine has been obtained MD Prescriptives Intensive Scar Repair can be incorporated into your routine for additional benefits. Cleanse with DermaFix Hydra-Silk Cleanser, an emollient based milky cleanser helping to reduce inflammation and redness. 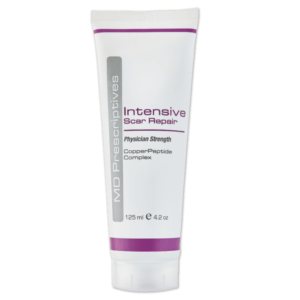 This cleanser can be left on the skin for up to 10 minutes as a mini-masque application to calm down sensitivity related to the above concerns.